The purpose of this stakeholder engagement exercise was for the CAA to understand your views on our new draft Airspace Modernisation Strategy which will replace our 2011 Future Airspace Strategy (FAS). The Government has tasked the CAA with preparing and maintaining a co-ordinated strategy and plan for the use of UK airspace for air navigation up to 2040, including for the modernisation of the use of such airspace. 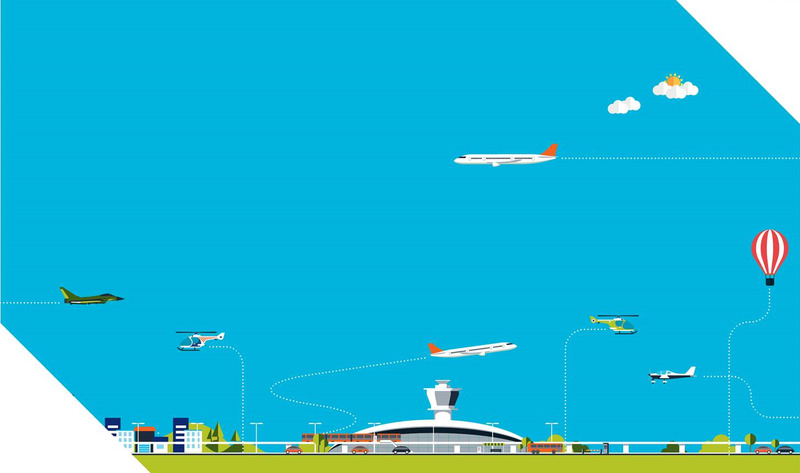 The Airspace Modernisation Strategy responds to that requirement and forms part of the Government’s new arrangements to take forward the delivery of the airspace modernisation programme. The strategy sets out the ends, ways and means of modernising airspace. We invited feedback on the draft Airspace Modernisation Strategy – including its approach and the initiatives it set out as the primary ways to deliver modernisation. We had 263 formal responses to the consultation, which we have published where we have permission to do so. Residents affected by aviation made up the majority of respondents. Of the 152 residents who responded, 74 (49%) used identical or very similar text, and mostly answered no to all questions. Overall, 39% of respondents said that they agreed or mostly agreed with the approach as set out in the draft strategy (question 1), 5% did not answer. Residents affected by aviation were most likely to answer ‘no’, with 83% disagreeing. Members of the General Aviation community mostly agreed with the overall approach, with 90% saying they agreed or mostly agreed. The second question asked if we had identified the right existing Government policies. Overall, 41% of respondents said that they agreed or mostly agreed compared to 50% who disagreed (9% did not answer). Question 3 asked if respondents agreed with the 14 initiatives. Members of the General Aviation community had the strongest percentage in favour at 94%. Commercial aviation industry and national representatives were around 75% in favour. Seventy-nine per cent of residents affected by aviation disagreed. Overall, 41% of respondents said that they agreed or mostly agreed with the initiatives; 7% did not answer. Question 4 asked if there were any gaps in the strategy and only invited free-text answers with no multiple-choice options. Question 5 asked if respondents agreed with our approach of asking those organisations tasked with delivering the initiatives to set out deployment plans to identify the means (resources) necessary? Seventy-one per cent of members of the General Aviation community agreed with this approach. Commercial aviation industry and national representatives were 58% and 68% in favour respectively. Seventy-four per cent of residents affected by aviation disagreed with our suggested approach. Overall, 37% of respondents said that they agreed, and 12% did not answer. Question 6 asked if respondents agreed with our approach set out in the draft governance structure which was developed by the Department for Transport, CAA and NATS working together. For this question the commercial aviation industry was the group with the largest percentage in favour at 74%. Seventy-one per cent of members of the General Aviation community were in favour, agreeing or mostly agreeing, whereas 80% of residents disagreed. Overall, 35% of respondents said that they agreed, and 8% did not answer. Free text boxes on each question allowed respondents to give their reasoning and explain how the draft Airspace Modernisation Strategy could be improved. other respondents urged that the objective would need to carefully consider the trade-offs between a range of different issues. the commercial aviation industry and national representative organisations were more likely to suggest that industry should be involved at the top of the governance structure. a mix of different stakeholders with different reasons wanted the Government and/or the CAA to hold industry to account more in delivery. Funding and resourcing issues were mainly raised by the commercial aviation industry, the majority either suggesting that the Government should fund the modernisation programme or that those that were funding it should be more involved in the governance structure. Smaller organisations were concerned that they would not have the resources to participate fully or influence change. Some suggested that the CAA needed to increase its resourcing. Often raised in relation to the governance structure was the issue of vested interests, and the need for independent oversight or independent programme management. In terms of technology, the specific points raised were mostly in relation to satellite-based navigation, drones and electronic conspicuity. Commercial aviation industry generally advocated the use of technology to improve efficiency, whereas residents were concerned about the concentration of flightpaths that could occur or had resulted from previous trials. We have gone into more detail as to what respondents said and our responses to specific issues in our stakeholder engagement response document CAP 1710 Outcome of CAA stakeholder engagement on draft airspace modernisation strategy. Some of the feedback received related to areas that we could not materially change in the strategy, for example relating to existing government policy or a dissatisfaction with the CAA or aviation industry in general. the requirements for a design masterplan have been modified and stated in more detail. For more information or clarification on the Airspace Modernisation Strategy please contact airspacemodernisation@caa.co.uk. The CAA has received in excess of 260 submissions to its public invitation for responses to the draft Airspace Modernisation Strategy that was published on 19 July 2018. We are no longer accepting responses, but we welcome and value the contributions that have been submitted by stakeholders. the link at the top of this page 'Published Responses' for online responses received through this website. the links at the foot of this page under 'Related Documents' for offline responses that supplement an online response received through this website. The Government’s Air Navigation Directions 2017 require us to present a delivery report and strategy to the Secretary of State in December. This comprises a draft Airspace Modernisation Strategy document and six questions (See 'Related' documents below). A transcript of this summary and the questions is also provided for reference. If you would like to discuss anything about how to respond, please email: airspacemodernisation@caa.co.uk or telephone: 0207 453 6278.